A cigarette can be damn good. Not because they’re good for you or because they’re particularly pleasant (generally smelling like a kerosine fire next to a bog), but because if you’ve already been smoking, a lot can be overlooked in the face of a nicotine craving. The FDA has an unusual plan to change that calculus. In a press release today, the agency teased a proposal that would seek to “explore a product standard to lower nicotine in cigarettes to minimally or non-addictive levels.” That’s right—all the cost, with hardly any of the buzz. Of course nicotine isn’t the key substance that causes health issues like emphysema and lung cancer in smokers. But it’s one of the only reasons anybody ever smokes more than one cigarette. 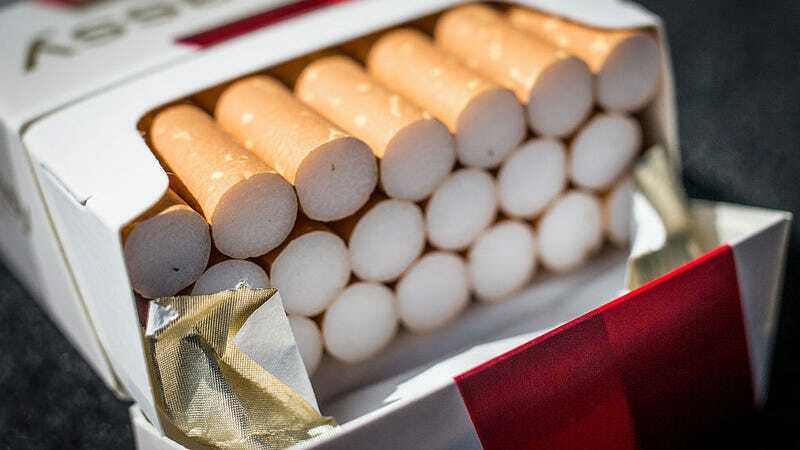 It also represents a clever and unprecedented flanking that augments the more tried-and-true public health approaches to limit smoking in the US and abroad: increasing the price of a pack through taxes, and covering those packs in warnings and off-putting images. While many Western countries have reduced smoking drastically, The Tobacco Atlas (which is partly run by the American Cancer Society) still lists the US among the ten countries with the highest number of smokers. The FDA estimates nearly half a million Americans die every year as a result of smoking and the diseases it precipitates. Unclear from the press release is if the FDA will seek to limit the amount of nicotine in cessation products like gums, lozenges, and patches—or in e-cigarettes and vapes for that matter, which the agency has increasingly regulated. Although the FDA’s approach is laudable, it remains to be seen what sort of pushback the agency will receive from big tobacco.